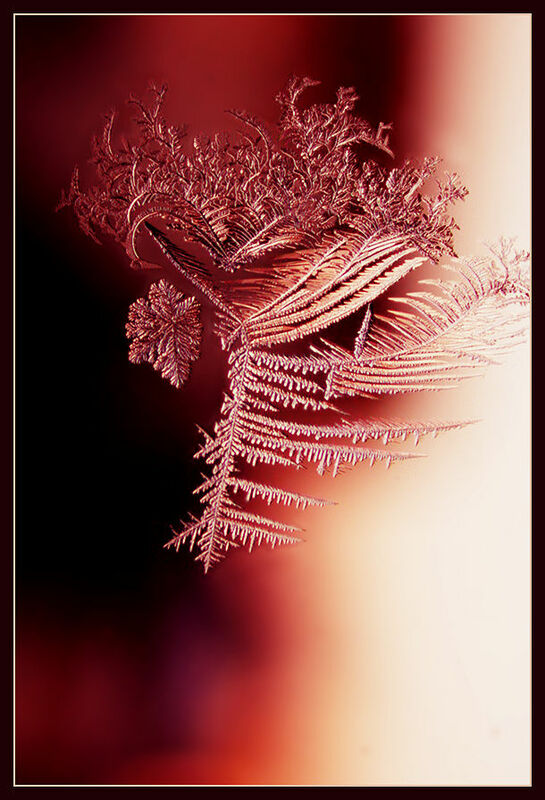 I photographed these images using Nikon Coolpix 990 and Nikon Coolpix 5700 cameras in macro mode. 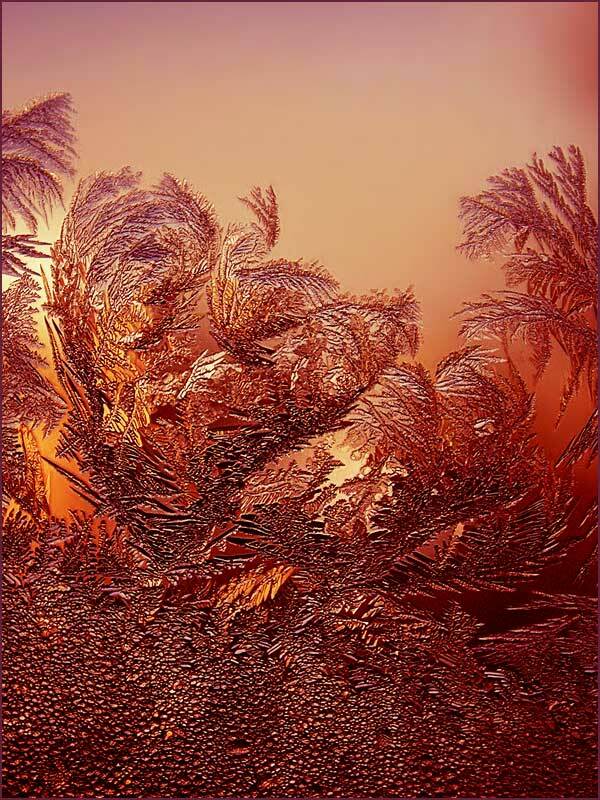 No additional lenses were used. 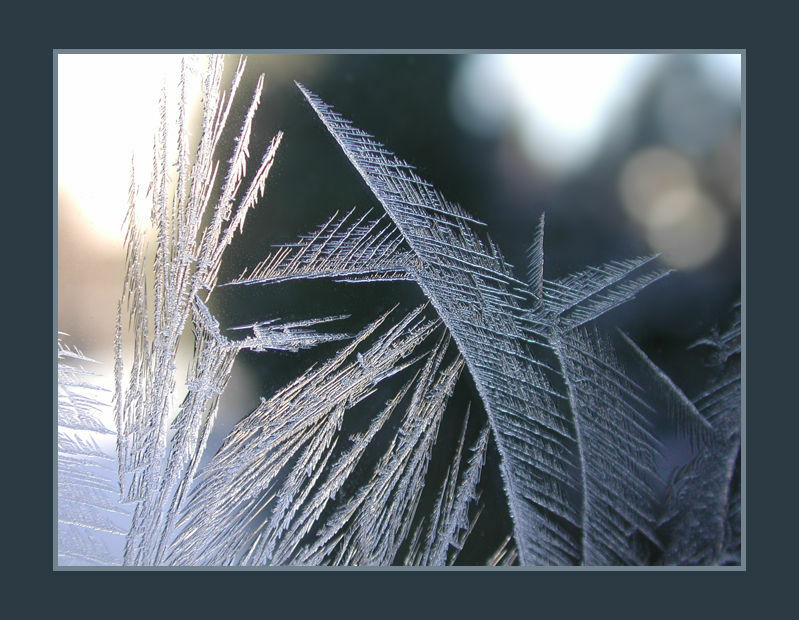 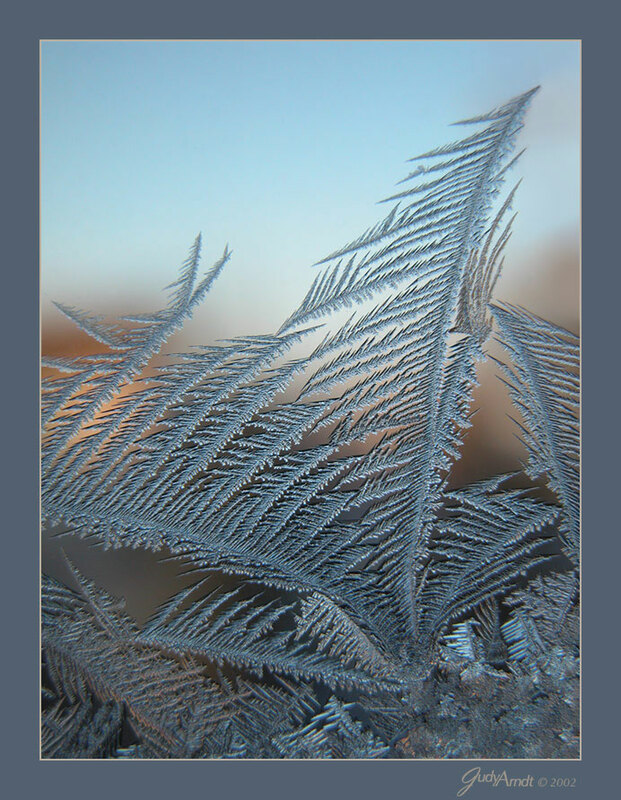 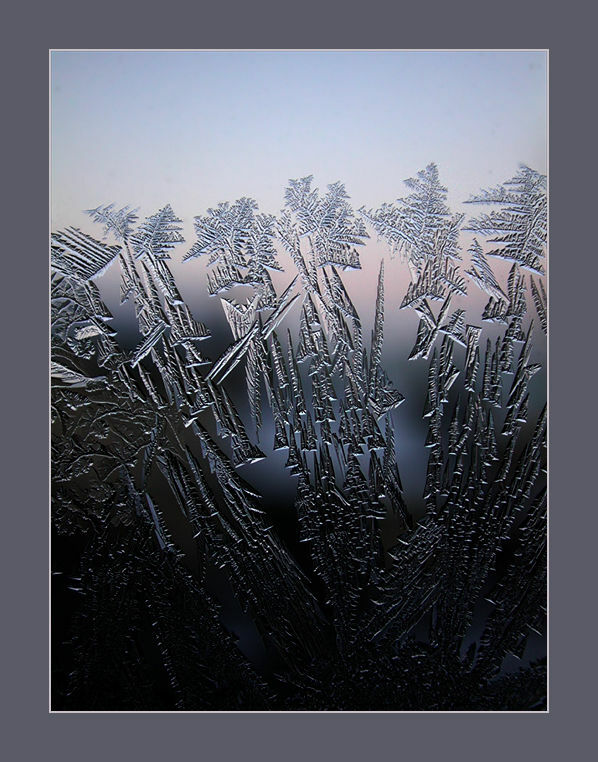 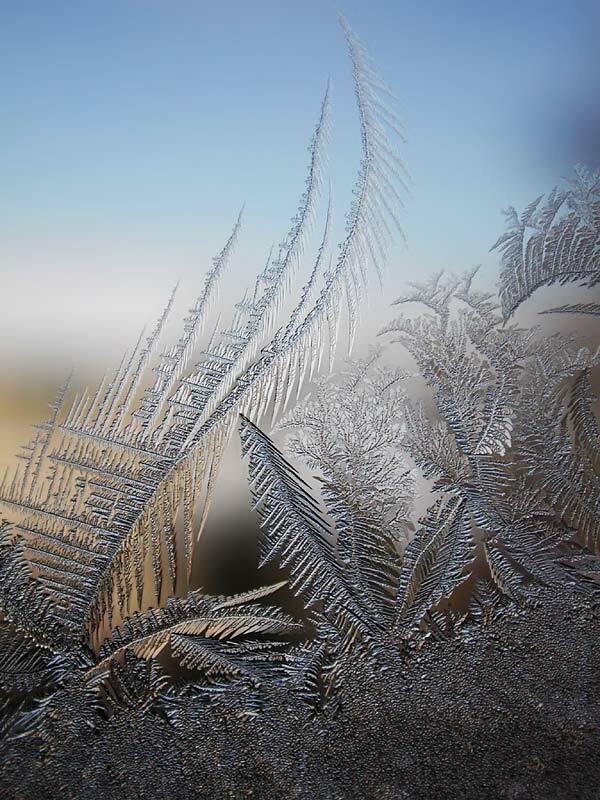 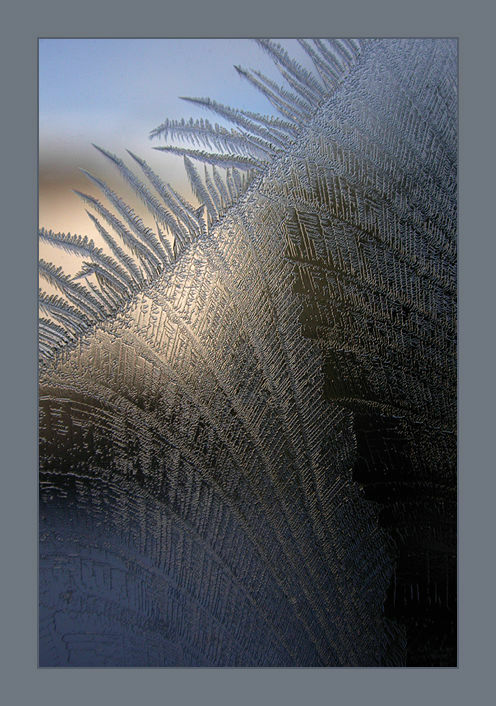 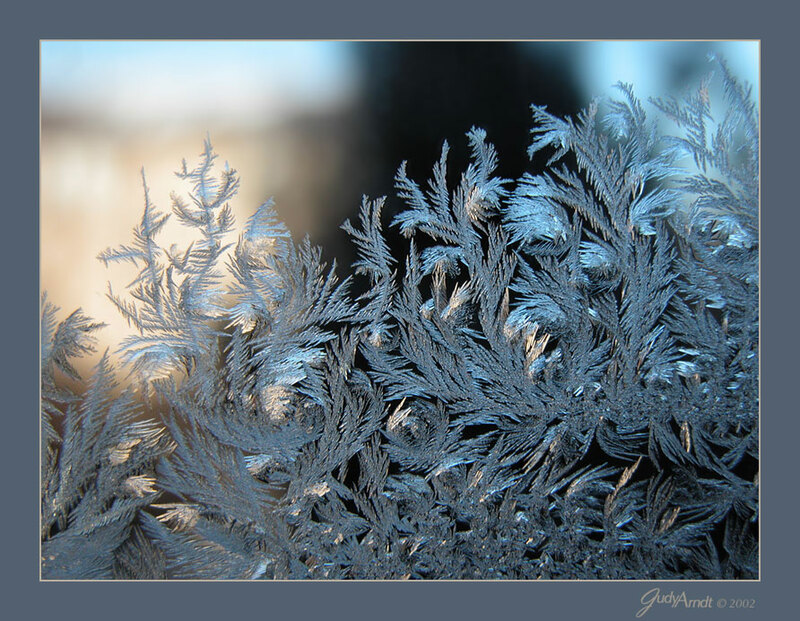 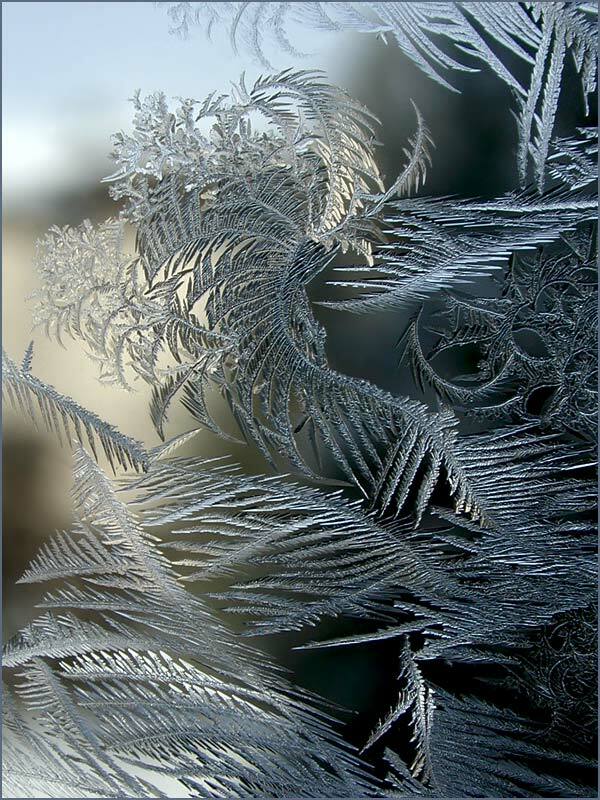 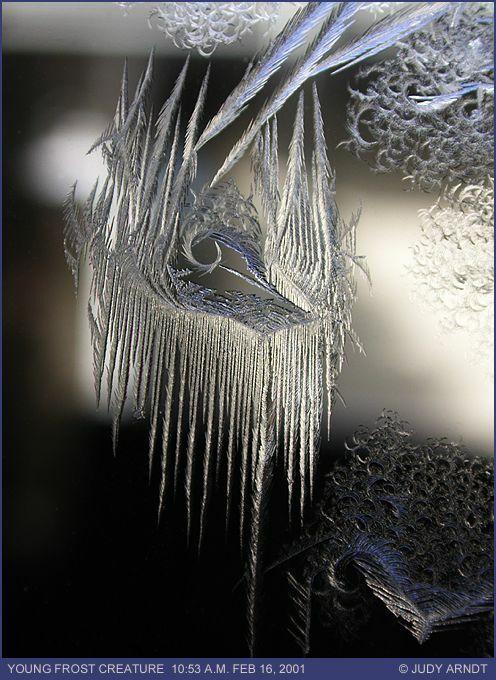 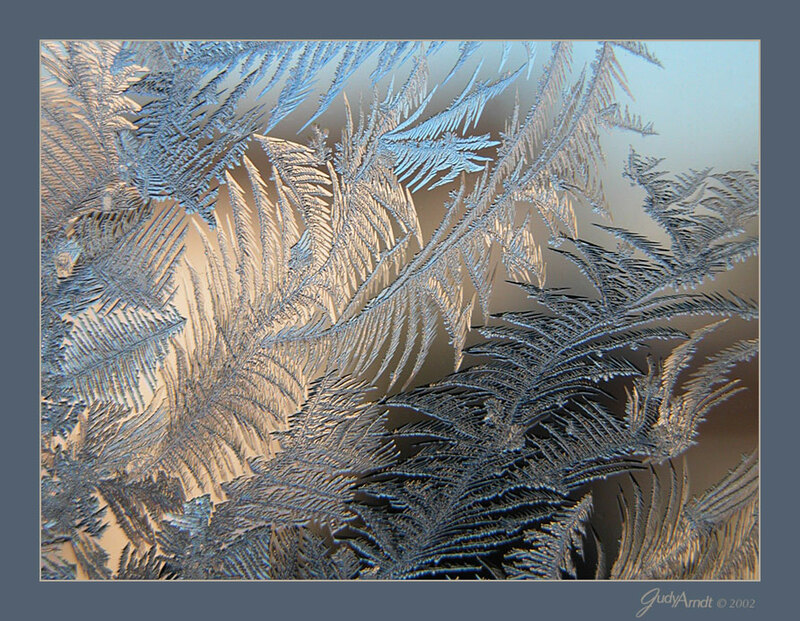 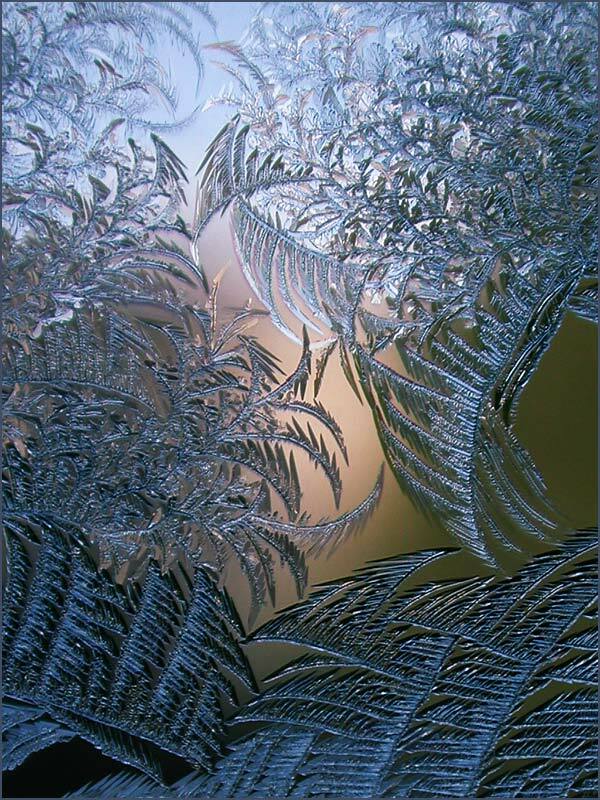 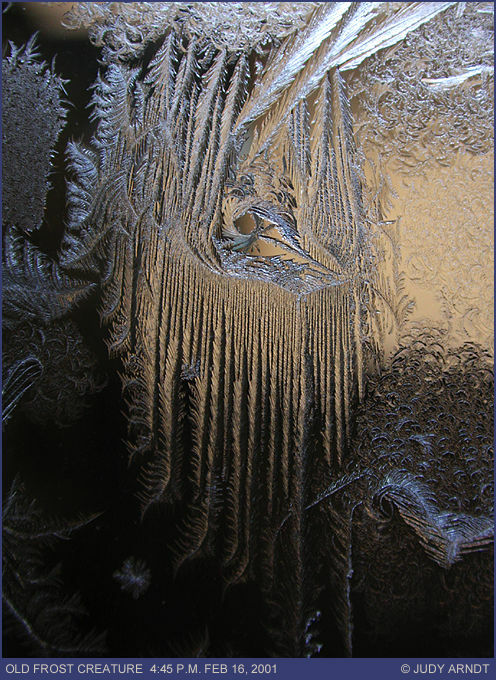 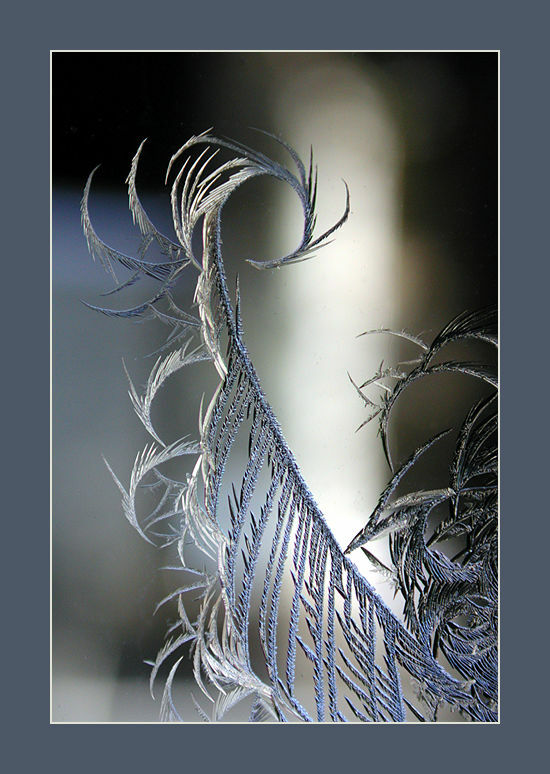 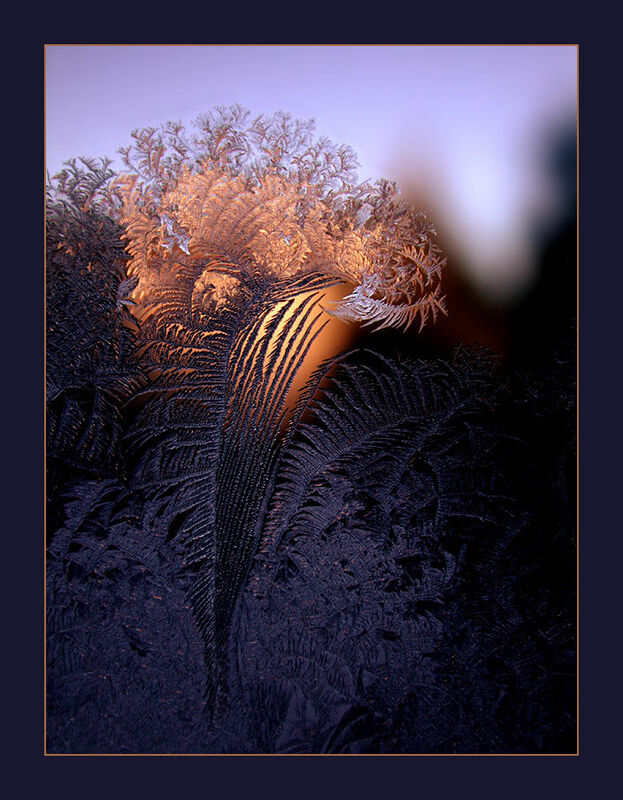 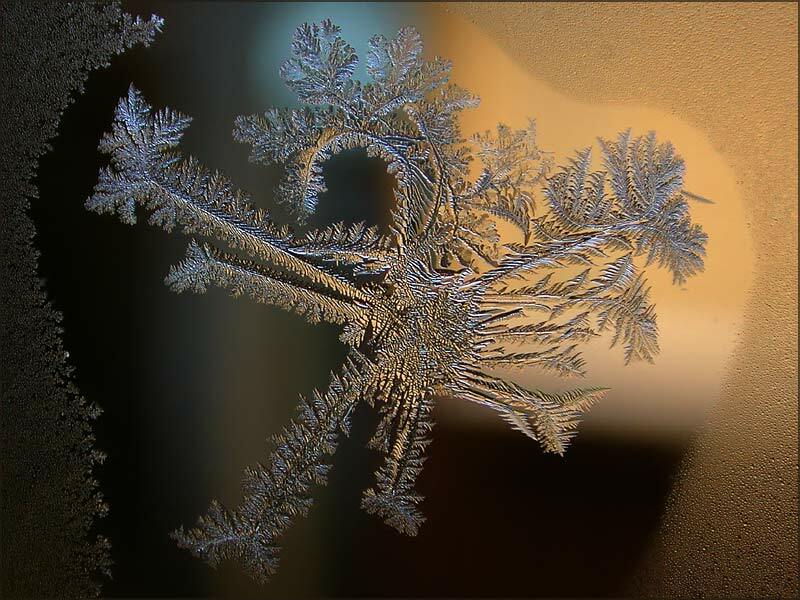 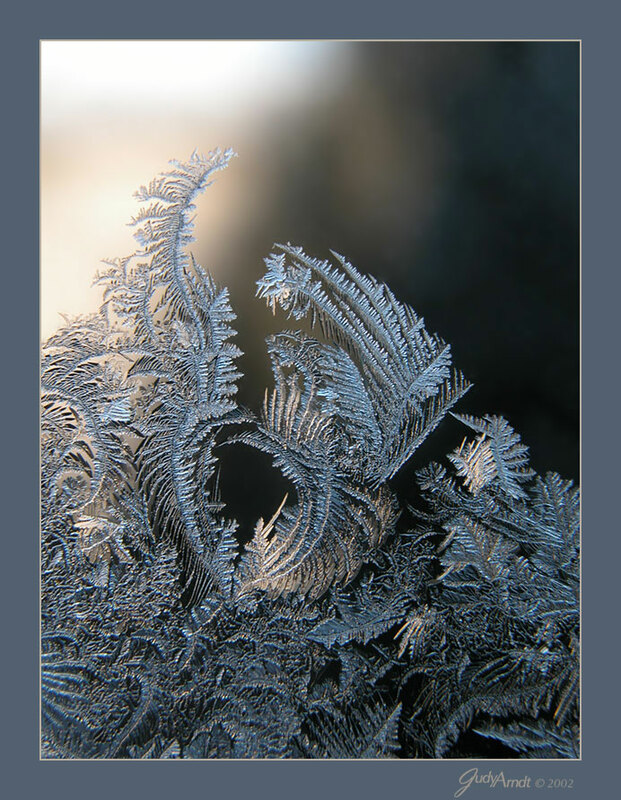 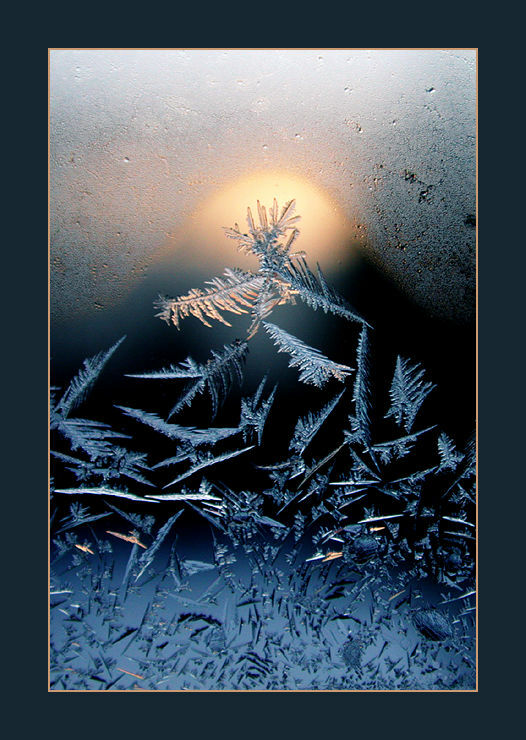 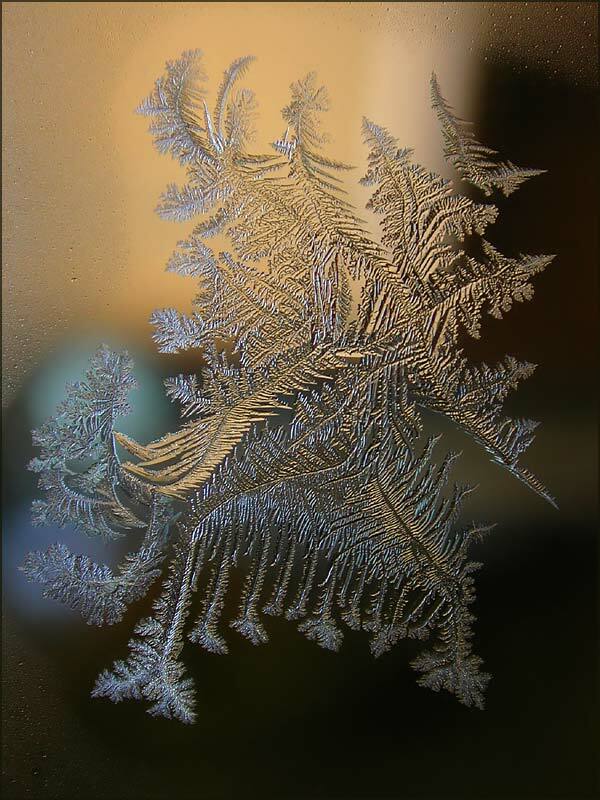 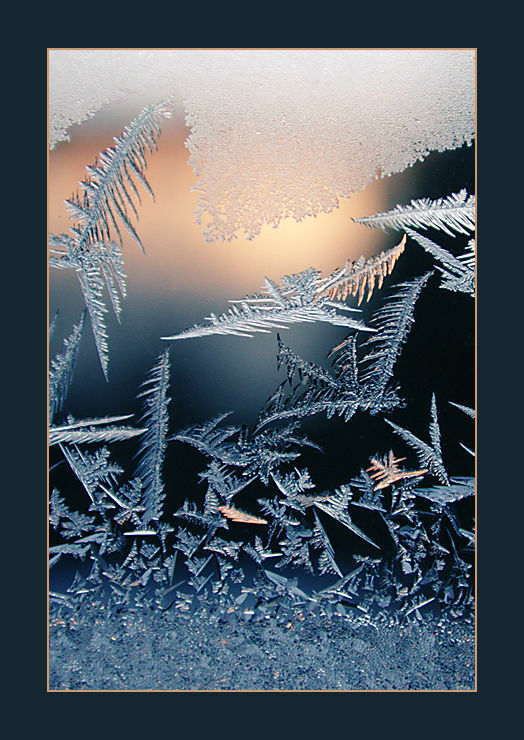 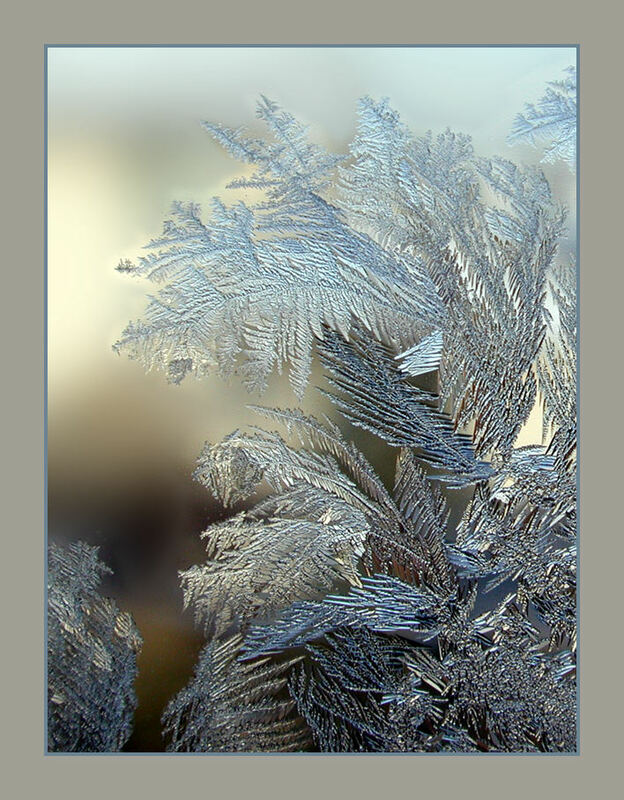 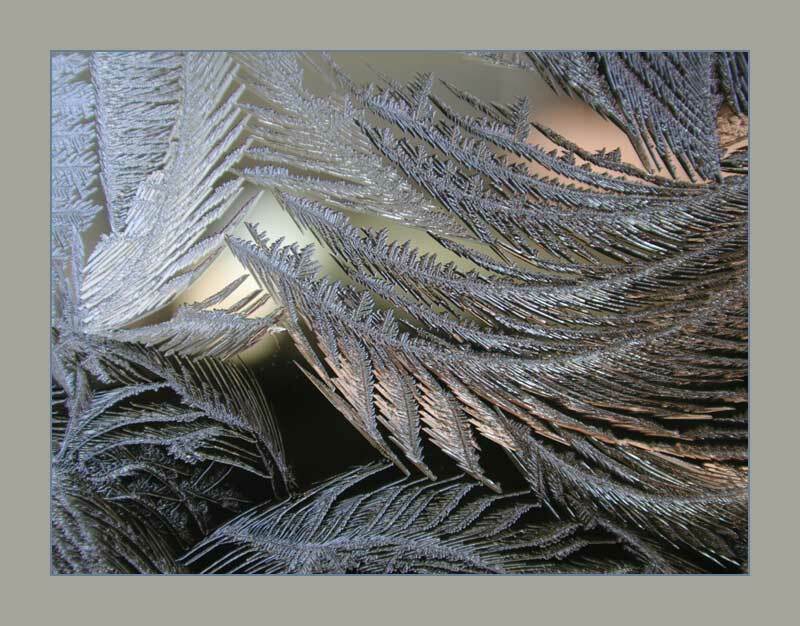 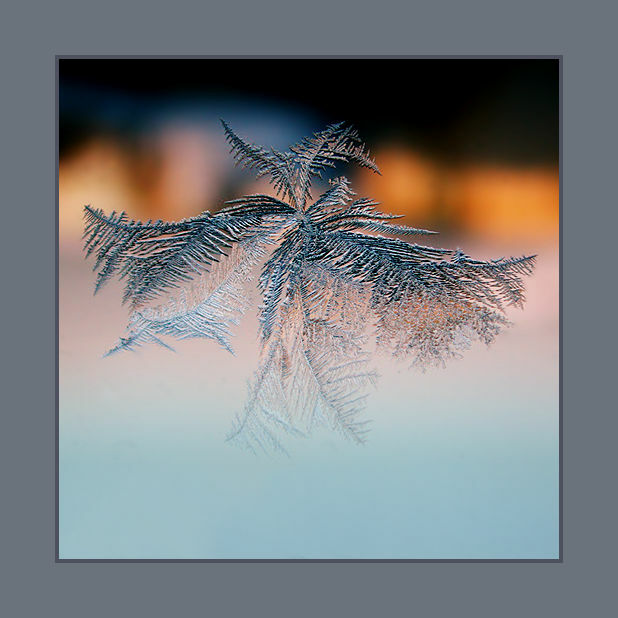 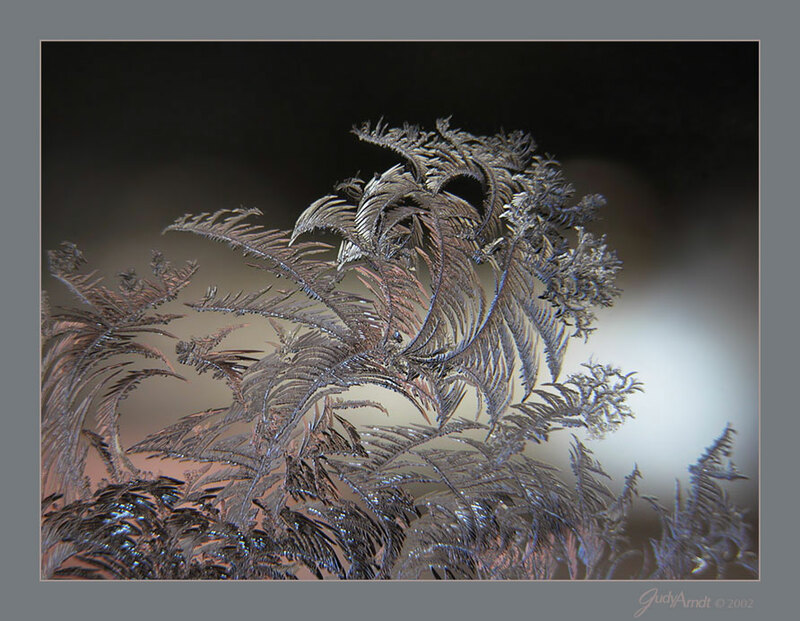 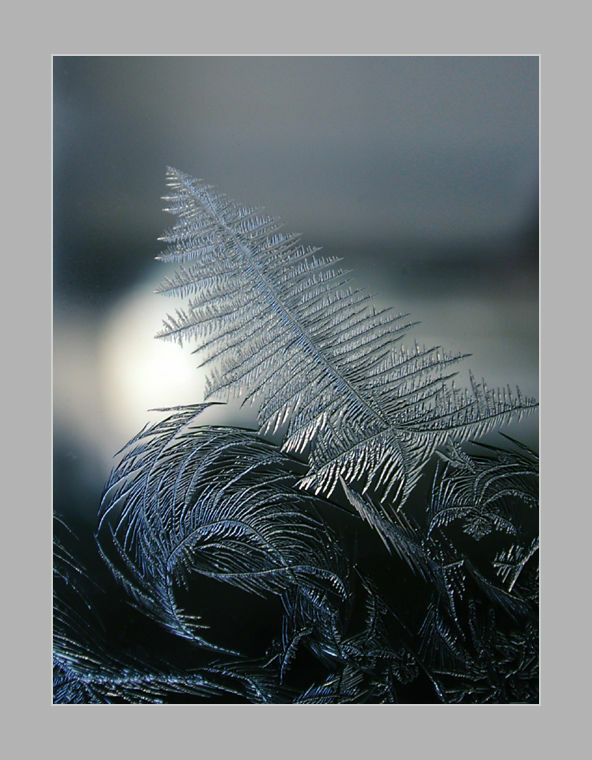 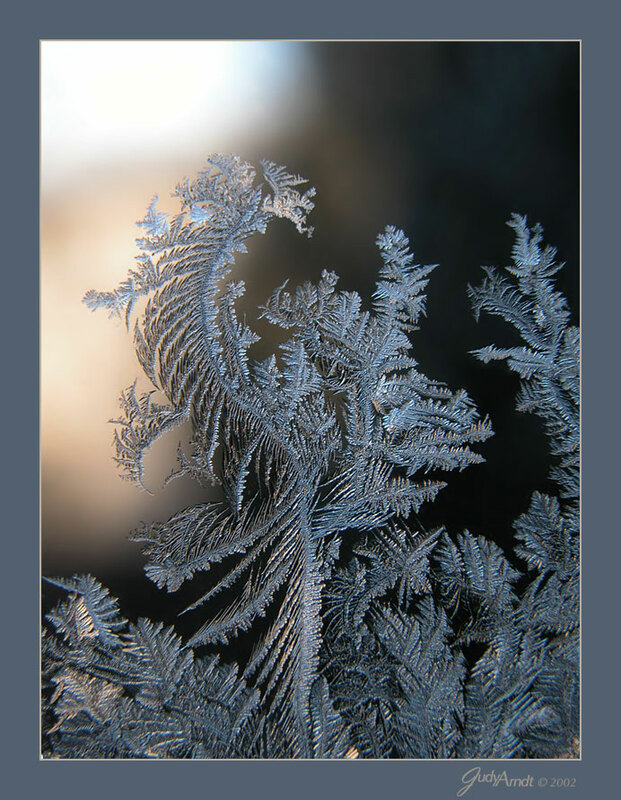 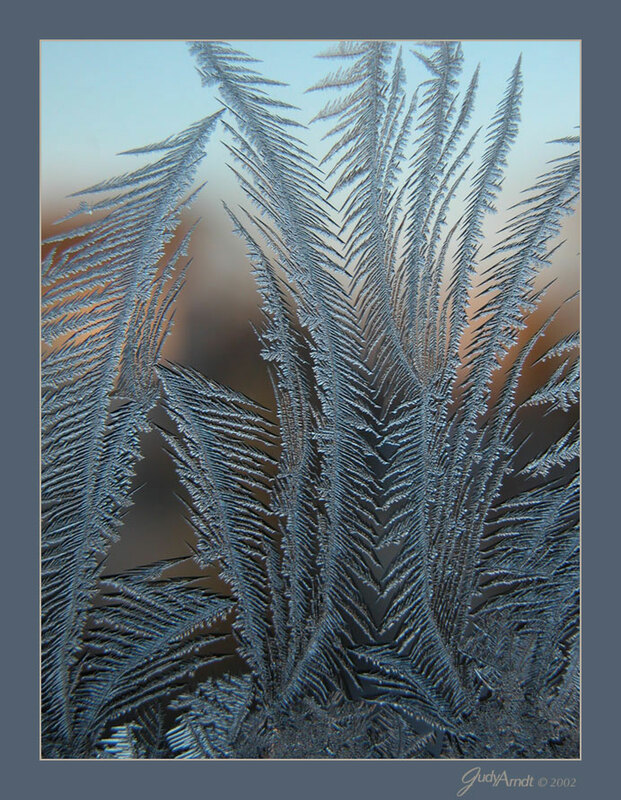 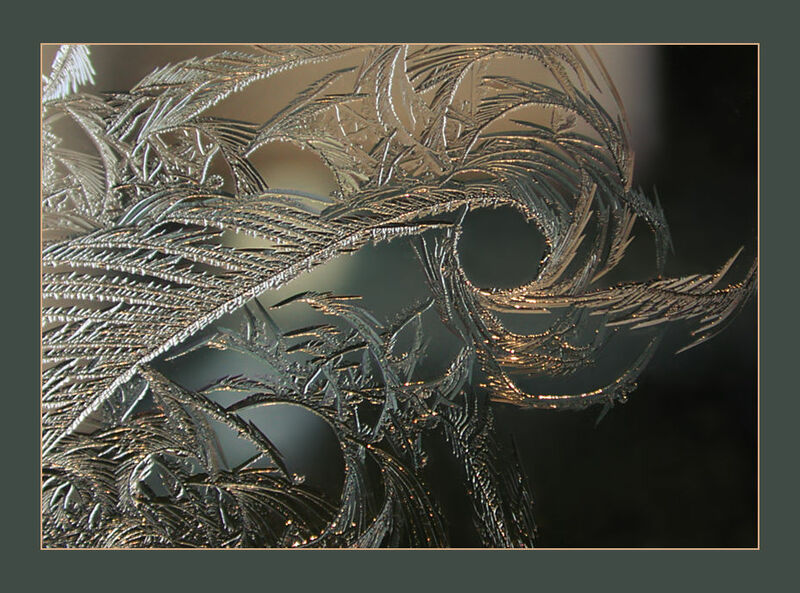 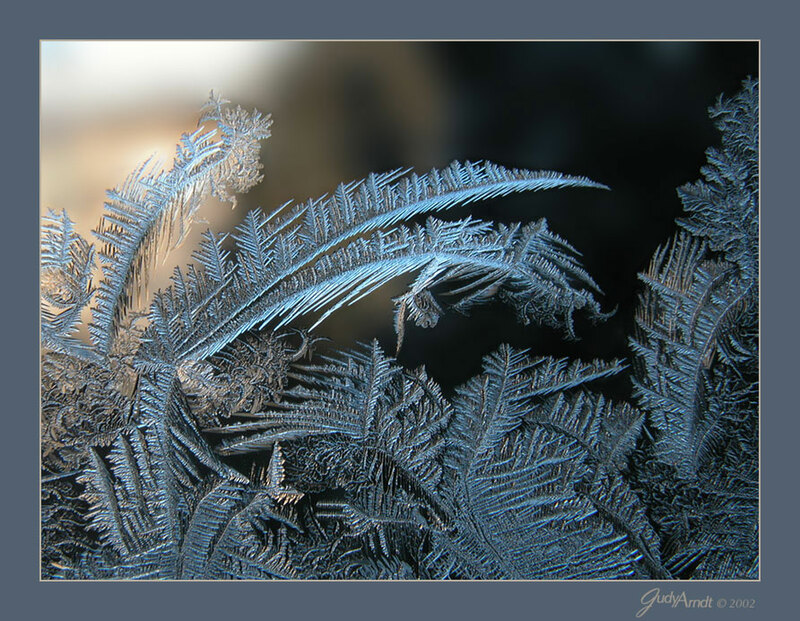 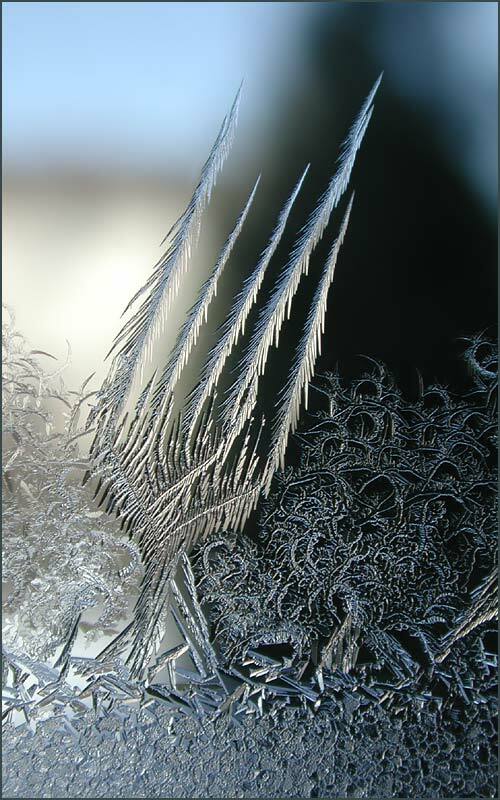 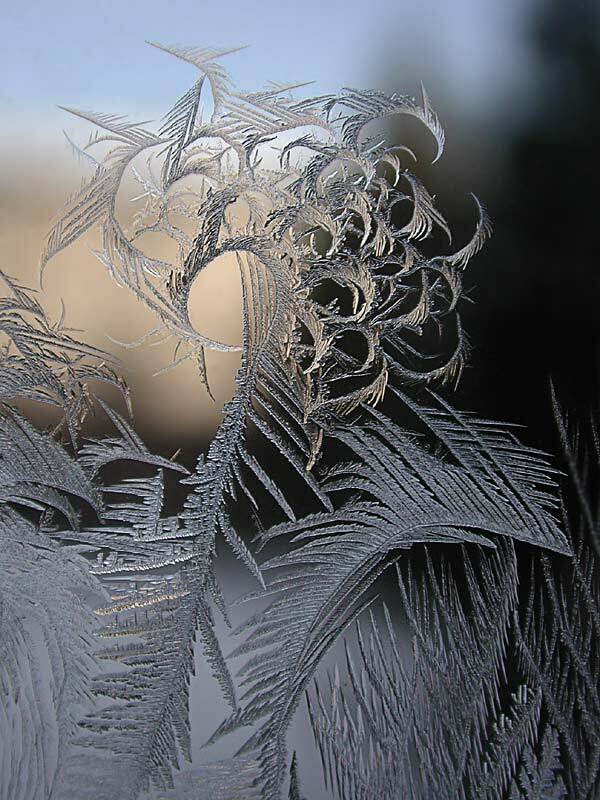 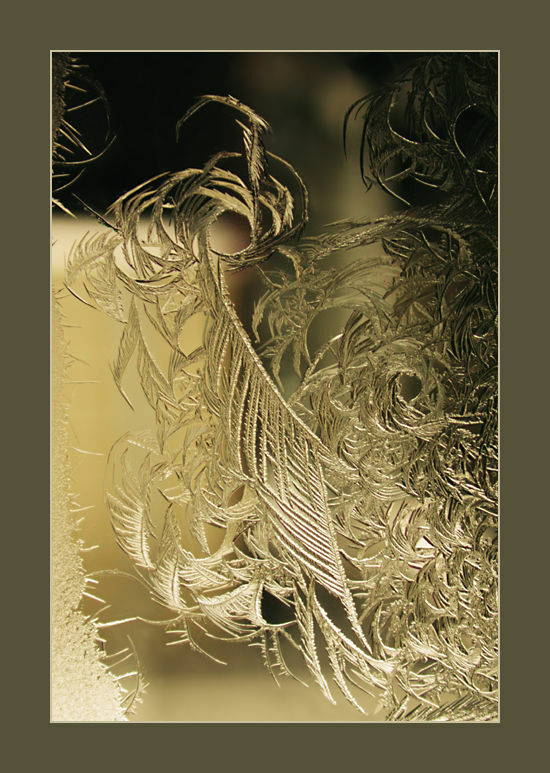 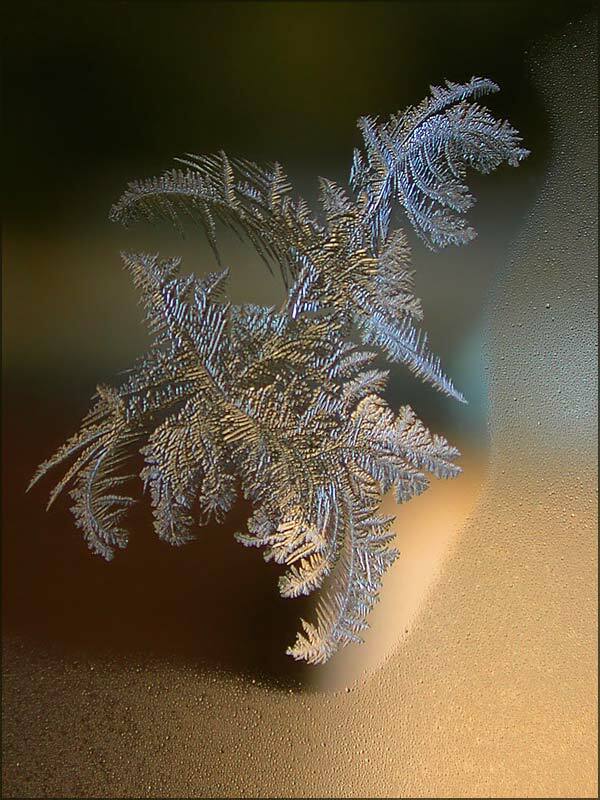 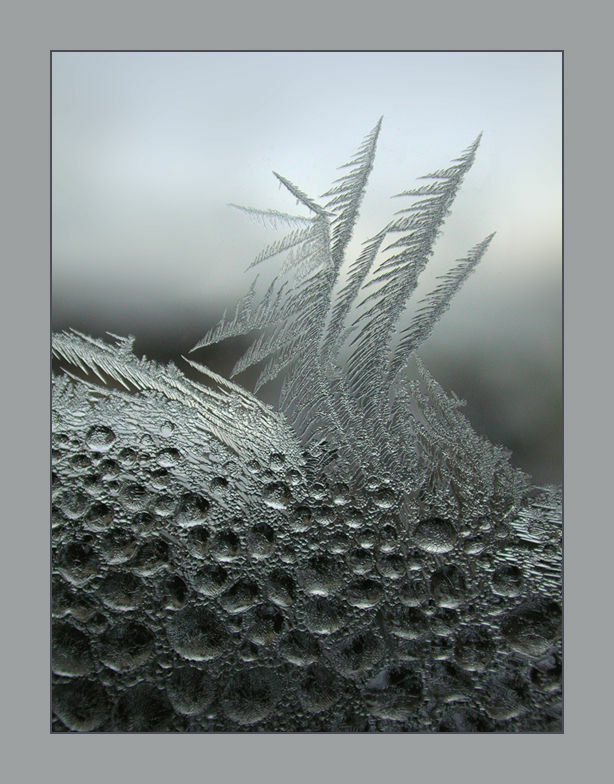 The frost crystals grew between unsealed panes of double-glazed windows as the temperature dropped from about -10˚C to -20˚C. 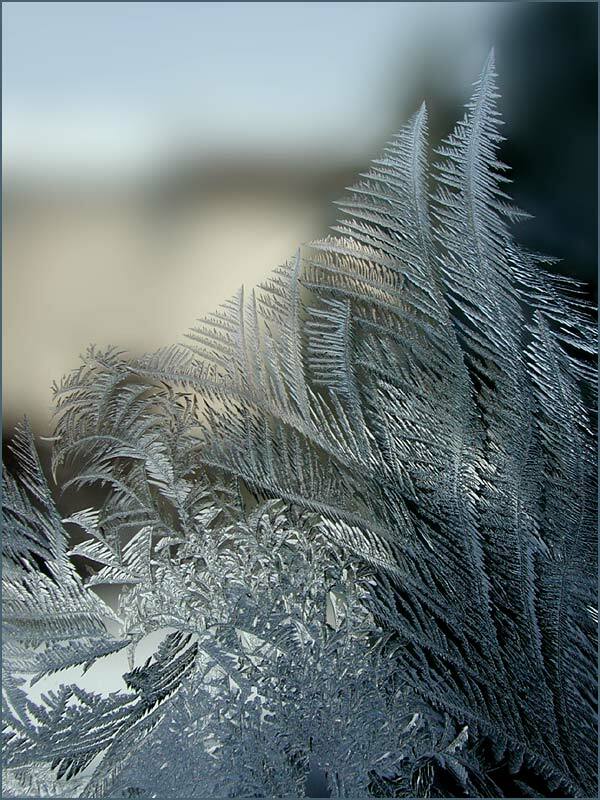 The windows have since been replaced. 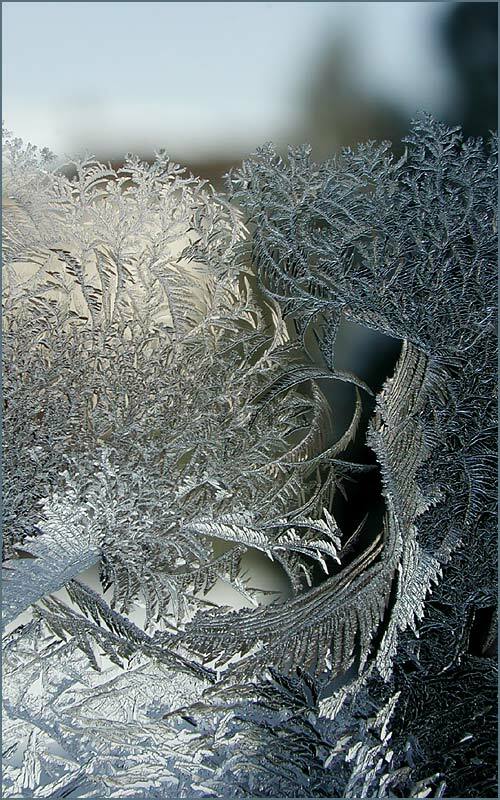 To view these image galleries to best effect, please enlarge your browser window. 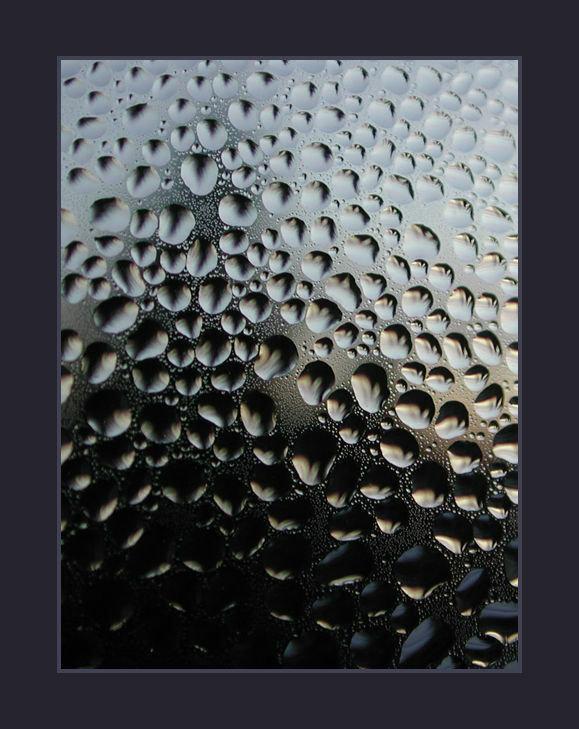 Then click on any icon to start. 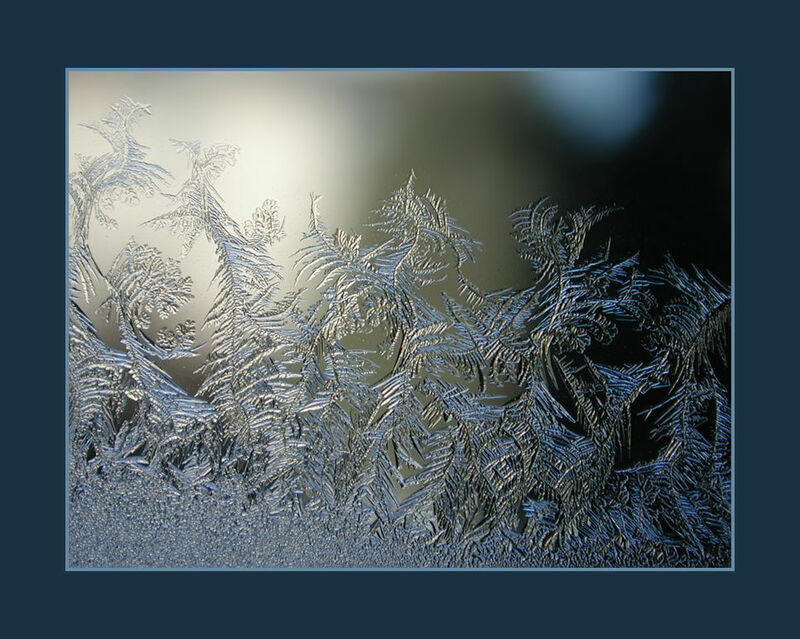 Use your keyboard arrow keys to advance the slide show.